An exterior view of Leon’s Furniture Limited newly opened state-of-the-art distribution centre in Delta, British Columbia. DELTA, British Columbia – Leon’s Furniture Limited (LFL), this country’s largest retailer of furniture, mattresses and major appliances has opened its long-awaited state-of-the-art distribution centre here in this suburb of Vancouver as part of its drive to achieve cost savings and efficiencies now that it needs a truly national distribution network. In a statement, the publicly-held parent of both Leon’s and The Brick, said the 432,346 square foot facility is the largest capital investment the company has made on a single property in its 108-year history and it will significantly increase its inventory capacity in this country’s western-most province. Two existing warehouses in British Columbia will be consolidated into the Delta facility, which is expected to generate meaningful cost savings and efficiencies over the next several years as the company’s online and bricks and mortar businesses in the province continue to grow. 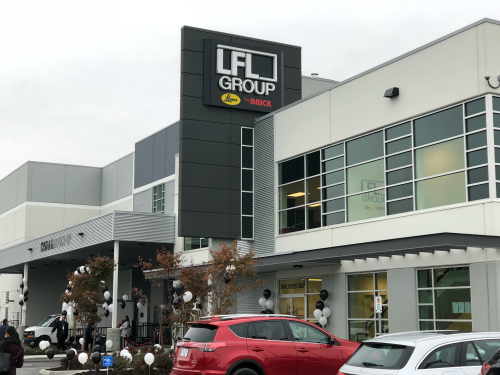 LFL announced it was building the Delta distribution centre in February 2016 when it secured the leases of four Sears Home stores from the soon-to-be-defunct Sears Canada in the Greater Vancouver Area. These stores were renovated and reopened under the Leon’s banner seven months later. Their opening gave the Leon’s banner a truly national presence for the first time ever. 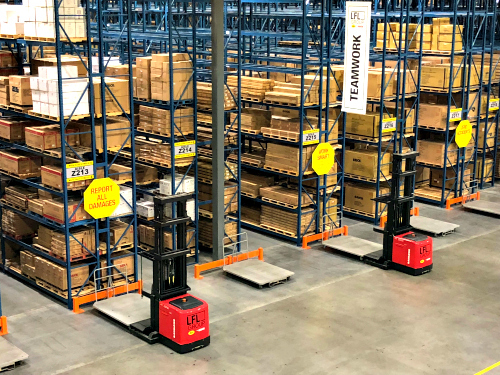 “Our new Delta facility represents an important milestone on our ongoing journey to generate meaningful efficiencies throughout our network,” said Edward Leon, LFL president and chief operating officer. “This new DC will enhance product availability and shipping times within the province of B.C. 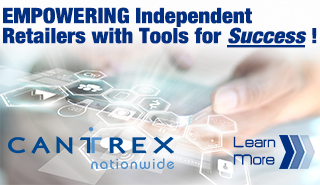 while generating meaningful cost savings over time as we continue to ramp-up our west coast presence. LFL owns 50% of the Delta DC – which is already in operation – while the other half is owned by Beedie Development of Vancouver and represents an investment of over $65 million. At full capacity, the facility can hold approximately $40 million in inventory at retail and features state-of-the-art equipment, systems and processes to ensure that product is moving efficiently through its more than 100 doors. It will be the primary conduit for the company’s its 40 brick and mortar stores as well as its online businesses for the province of British Columbia.